Cardi B is truly Unique. Regardless if you see her on a talk show, on stage, or Instagram, Cardi B is Cardi B. Shi is one to make a video with no makeup at all while she is sick or she can make one where she is all glammed up in full makeup and false lashes. From her enthusiasm for Uggs to her hundred-thousand dollar budgeting strategy, here are a few things we can all learn from Cardi B about fashion to bedazzled fingertips. 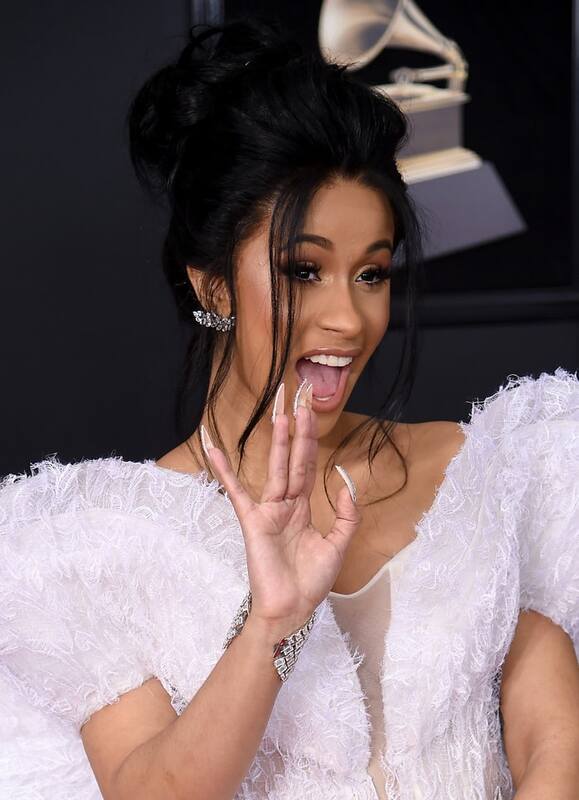 At the 2018 Grammy Awards Cardi B stunned everyone, and what was a big part of her stunning look that night were here stunning lashes! Although her lashes looked luxurious and lush at the show , she didn’t have to pay major money for them. As a matter of fact you can easily buy them at your local drugstore. Honestly ! 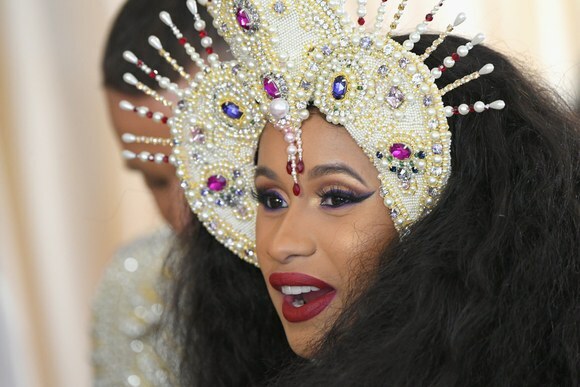 According to a press release, celebrity makeup artist Erika La Pearl created the rapper’s red carpet and performance looks using KISS Lash Couture’s new 5th Avenue and Triple Push-Up Collections. Trying this look on your self is nothing hard at all. La Pearl curled the rapper’s lashes with an eyelash curler and then applied KISS Lash Couture’s 5th Avenue Collection in Grandeur to get that that now infamous red carpet look. The final makeup look gorgeously dramatic and it was not hard for her lashes to become the center stage of her magnificent look. Pretty sure you wouldn’t think you can find these lashes at the drug store for sure. 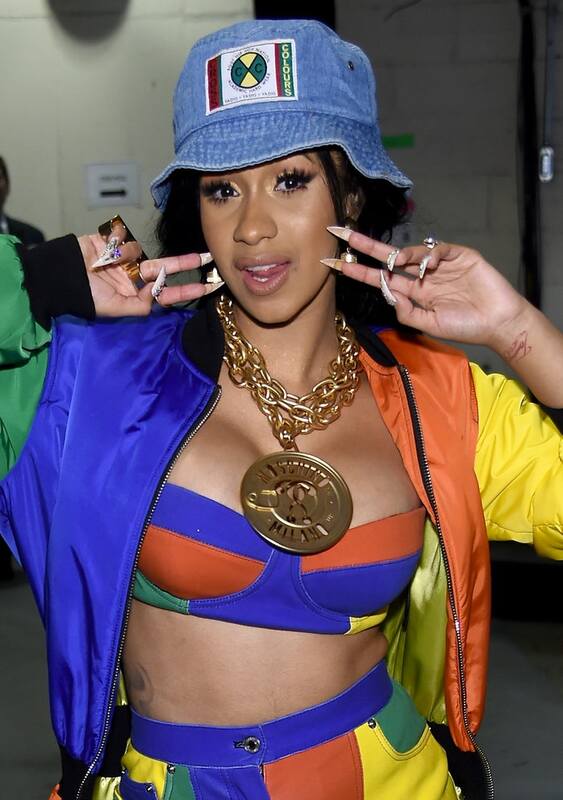 Also right before Cardi B hit the stage to perform the smash hit “Finesse” with Bruno Mars, she needed a little refresh and La Pearl replaced her lashes with KISS Lash Couture’s Triple Push-Up Collection in Brasseire. Since the performance was heavily based on the In Living Color vibes these lashes were better suited for it. “The Finesse (Remix) has a fun throwback vibe, so we wanted her eyes to pop more with the KISS Lash Couture Triple Push-Up Lashes as part of the retro performance look,” La Pearl said, according to the press release. Just like her chain her lashes were big and bold .Heavy eye makeup was not needed since these falsies made her eyes pop very nicely. Check it out for yourself. 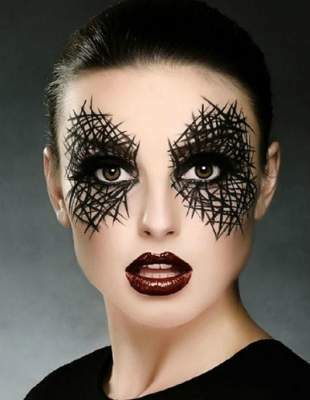 Any lashes that can rival that colorful outfit are a surefire winner. So these high-drama Kiss lashes are made of silk, I bet you are thinking that these lashes are going to be out of your budget when right ? Well they are not because The Grandeur lashes cost a mere $9.99 with lash glue included, and the Brasseire falsies will only set you back $6.99. honestly that is a very good price for the quality and bold look you will get from them. These can easily be found at your nearest drugstore or online shops. How is that for accessibility and affordability? 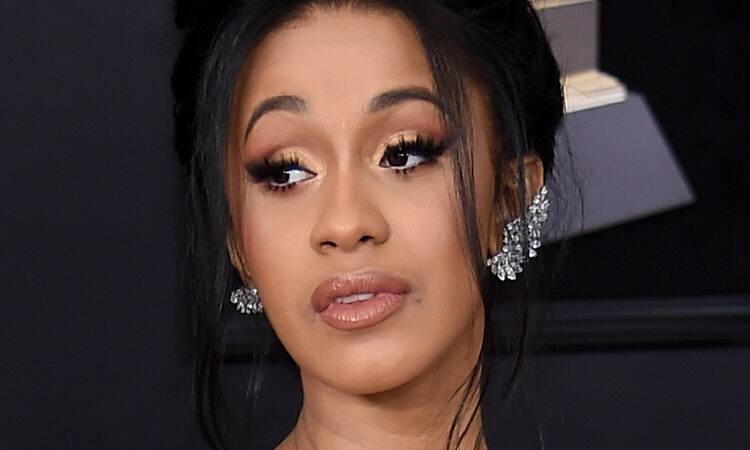 These lashes used on Cardi B were already a big hit on social media before finding out their drug store status. She got everyone’s attention with her beauty look and many fans were asking where she had gotten those falsies. i can’t stop looking at cardi b’s eyelashes. her makeup is so pretty tonight. These lashes were serious stunners, and everyone immediately took note. Fans wanted to cop the dramatic look — and now they can without breaking the bank. So many fans were asking Cardi about the dramatic lashes on Twitter, and you can’t really blame them. They are so stunning. I’ts always nice to know when you can duplicate your favorite celebrities red carpet look for less when knowing that those red carpet looks can be pretty costly,Cardi B’s lashes may look like they are out of your budget, but they actually cost less than a tube of drugstore mascara. Plus, they are reusable if you treat them right. Sure Kiss lashes are not the most expensive lashes in the world but they can easily help you achieve an expensive look, and if you are a Cardi B fan then you already know her songs are all about expensive. Make sure you head to your local drugstore stat to pick up one or both of these lush lashes. With these fierce falsies, you’ll be that much closer to Cardi B status. And, let’s face it, who doesn’t want that? Here are five falsies lashes that will give you the flutter-worthy lashes you’ve always wanted for everyday wear or even the Grammys! From subtle to va-va-voluminous, false lashes are the ultimate switch-up to any beauty look. When you have small lashes and mascara just won’t cut it, these prettifying heroes can help you achieve your lash goals. But unlike most beauty products, you can’t try them out before buying. That’s why finding out the perfect set is essential beforehand. First of all, you’ll need to determine your eye shape. If you have almond-shaped eyes, you should opt for lashes that are extended towards the outer edges for a winged effect. Falsies with a mixture of long and short hairs are ideal for hooded eyes as they open them up at the centre. Meanwhile, wispy lashes that have slightly longer hairs in the middle of the strip are perfect for bringing depth to round eyes. Those with monolids should avoid heavy lashes, which can look unnatural on this eye shape, and instead go for denser multi-layered lashes that are longer at the tips. Learning how to apply false lashes is also important before buying. If you’re a falsie novice, an application tool (or tweezers) can make things easier. Use this to carefully remove your strip lash from the tray and place it along the top of your lash line. Some lashes need to be trimmed down to size. 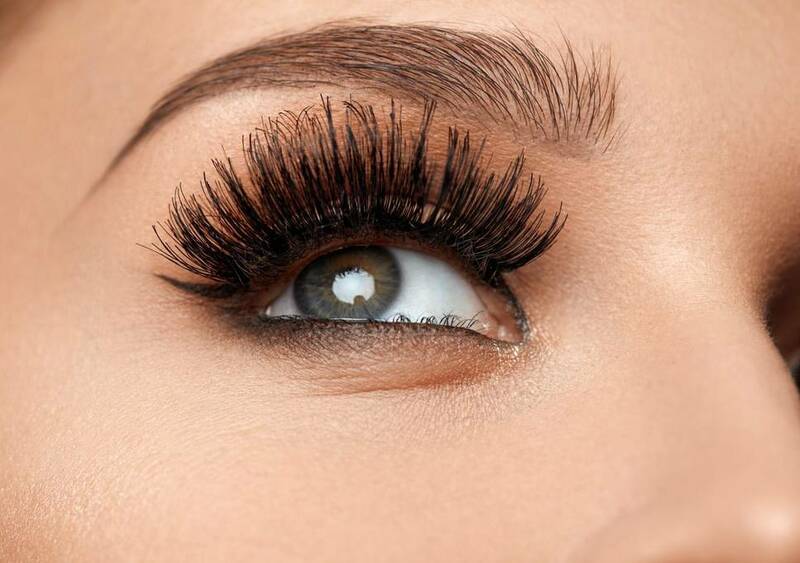 To prevent lashes from lifting, roll them around your finger beforehand to give them a curved shape. Once they’re ready to stick on, apply a thin layer of glue onto the band and wait 30 seconds for it to get tacky. When sticking them on, place the band as close to your own lash line as possible and apply gentle pressure with your fingertip or tweezers. Mascara can be applied before or after to ensure the falsies blend with your natural lashes. Most false eyelashes come with a miniature tube of glue, but you can easily find a full-sized bottle at most beauty stores – including Boots and Superdrug. Whether you’re going full glam or keeping things natural, we’ve tried out a selection of fluttery falsies to help you pick the perfect pair. 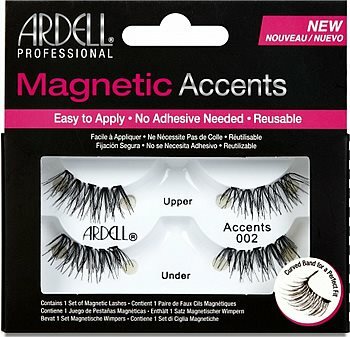 If you’re new to false lashes, Ardell’s Demi Wispies are simple to use and come with a mini tube of DUO lash adhesive. The mixed lengths and feathery look of these lashes mean they’re great for those aiming for natural-looking volume. They feature an invisible band that connects the hairs to form a strip, making them super lightweight and believable. We found these to be the most long-lasting, thanks to the latex-based glue provided – which is suitable for sensitive eyes. And with the right care and cleaning, they’ll last you for multiple uses. With 7 decades of experience, lash brand leader Eylure has plenty of styles to up your eye game. These aptly-named lashes are designed to accentuate the look of your own eyes and are the most natural-looking pair on our list. Thanks to the curved lash band, they’re a cinch to apply and feel impressively comfortable on the lash line. The kit comes with a mini bottle of the brand’s Lashfix adhesive. 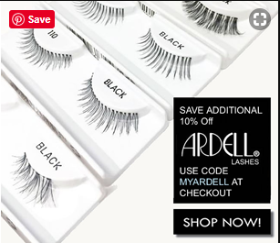 With an international beauty empire and phenomenal fan base including the Kardashians, Ardell knows a thing or two about statement lashes. 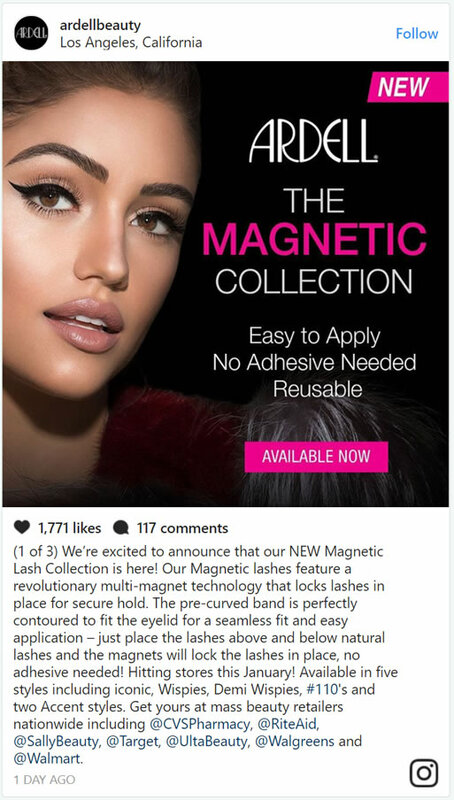 Ardell Magnetic Lashes employs revolutionary multi-magnet technology with 6 to 8, virtually invisible magnets, strategically embedded end to end for complete magnetic contact so lashes lay down seamlessly along the natural lash line and don’t flare out! Ardell Double #110 has flirty feathery texture makes for dramatic volume, while the magnet technology provide comfort all day hold. 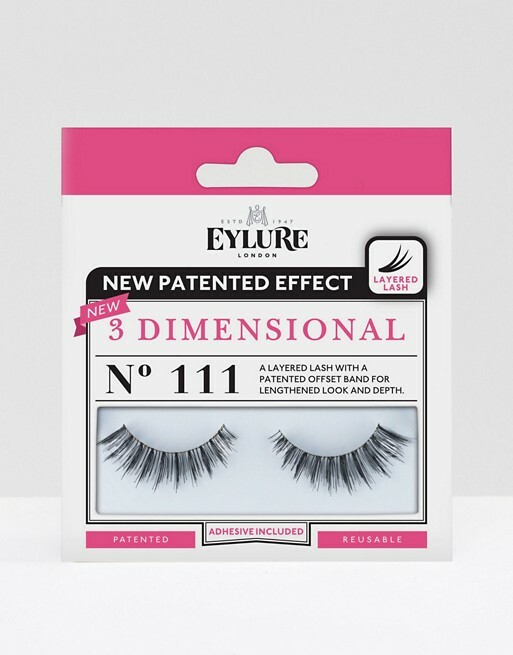 In case you didn’t know, Eylure’s extensive range of beauty heroes includes a selection of eye-boosting false lashes. 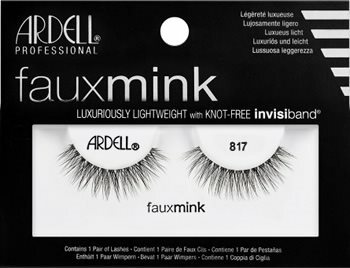 If you want to go full glam, Ardell Faux Mink Lashes and Stacked Cosmetics Lashes should fit the bill nicely. 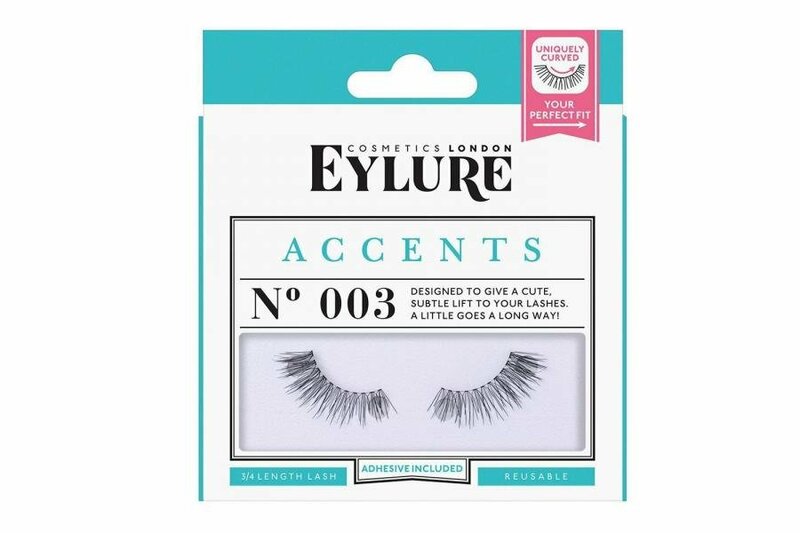 Eylure’s lash band is pre-treated, thin and flexible, making it easy to stick in place and a breeze to clean. The multi-length hairs of #111 lashes are gently curled to provide sumptuous volume while looking soft and completely natural. 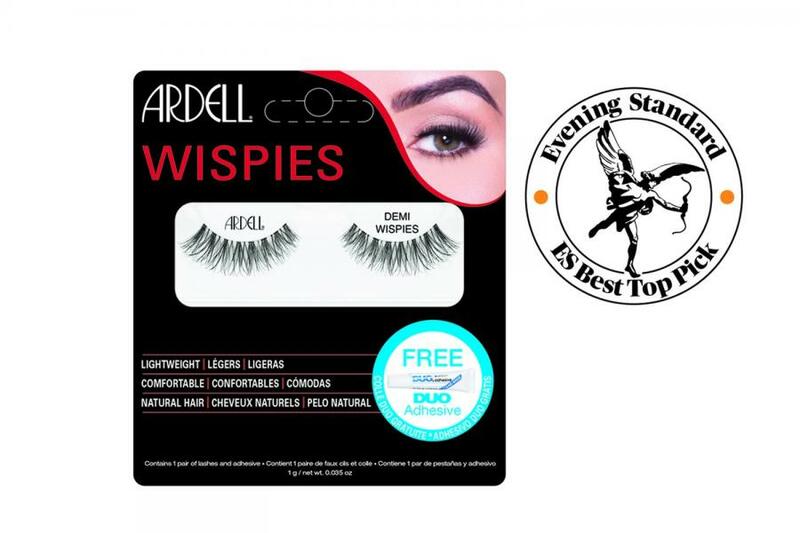 Our top choice is Ardell’s Demi Wispies, which are perfect for any occasion and ideal for beginners. If you’re going for a full-on glam look, then Ardell’s snap on Magnetic Lashes impressive volume while providing comfort and glam! 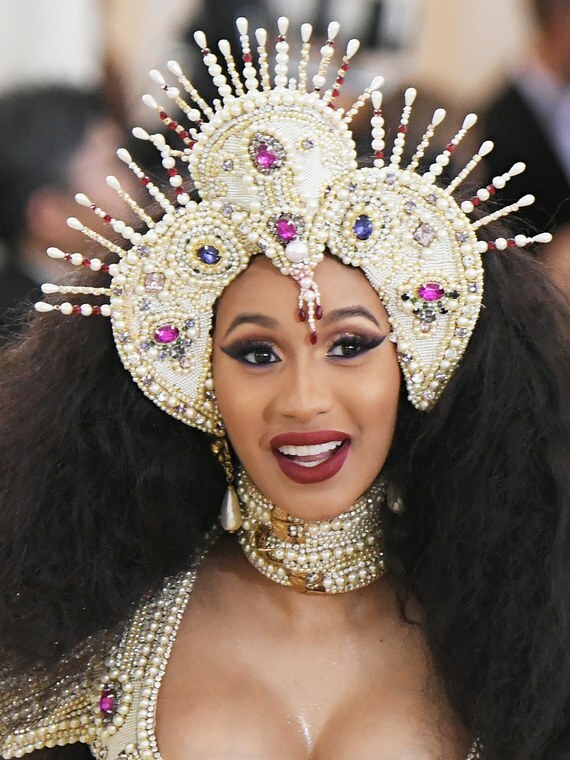 Though this year’s Met Gala is Cardi B’s first, she already has some love for the event. She and now-fiancé Offset made their first appearance as an official couple at a Met Gala afterparty last year, according to Elite Daily, and she glowed while attending his Met Gala-themed birthday party this past December. Now, she can say she’s been to the real deal (with Rihanna as a host, no less), and she’s gone full-on with the theme of heavenly bodies. 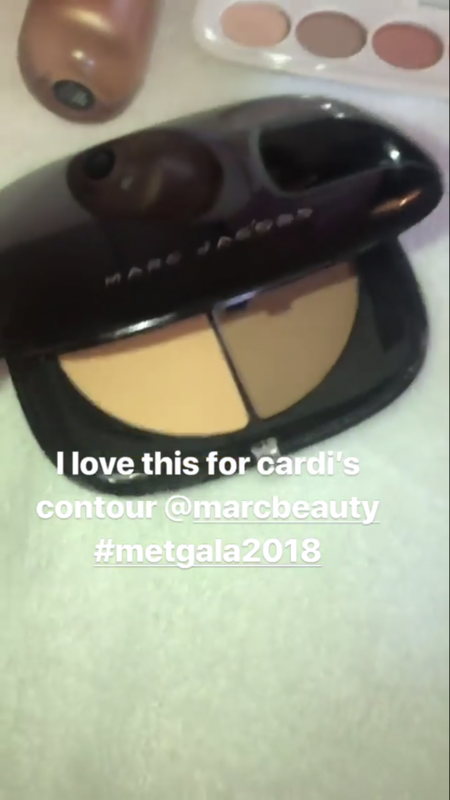 Make-up artist Erika La’ Pearl helped create the perfect Met Gala-ready look for Cardi with Marc Jacobs Beauty, which seems to have become her go-to makeup when she revealed her pregnancy on Saturday Night Live in April. However, La’ Pearl opted for a drugstore brand when it came to topping off the look with false lashes, looking to Kiss’s Lash Couture Triple Push-Up lashes ($7) for dramatic eye fringe. 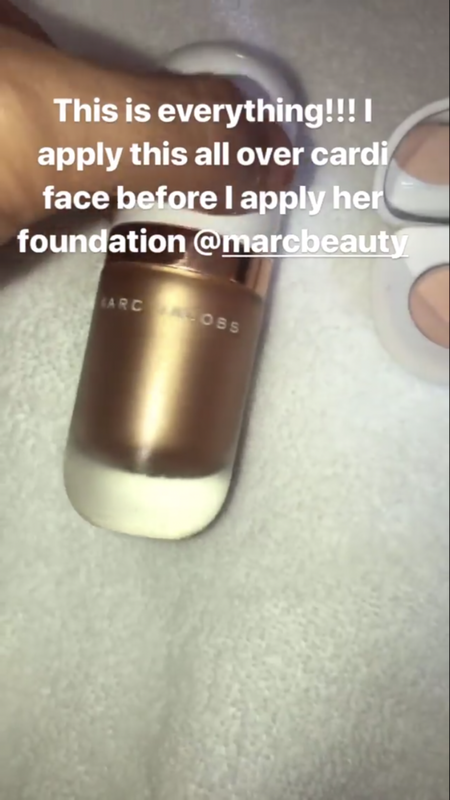 From her Instagram story, it looks like La’ Pearl used Marc Jacobs Beauty Shameless Youthful Look Foundation, Marc Jacobs Beauty Dew Drops Coconut Gel Highlighter, and the #Instamarc Light Filtering Contour Powder.